Who doesn't love denim? This fabric is used all over the world to make jeans, jackets, shirts, bags, etc. And the 90's vibes make the double denim or denim on denim trend comeback in so many ways to style. 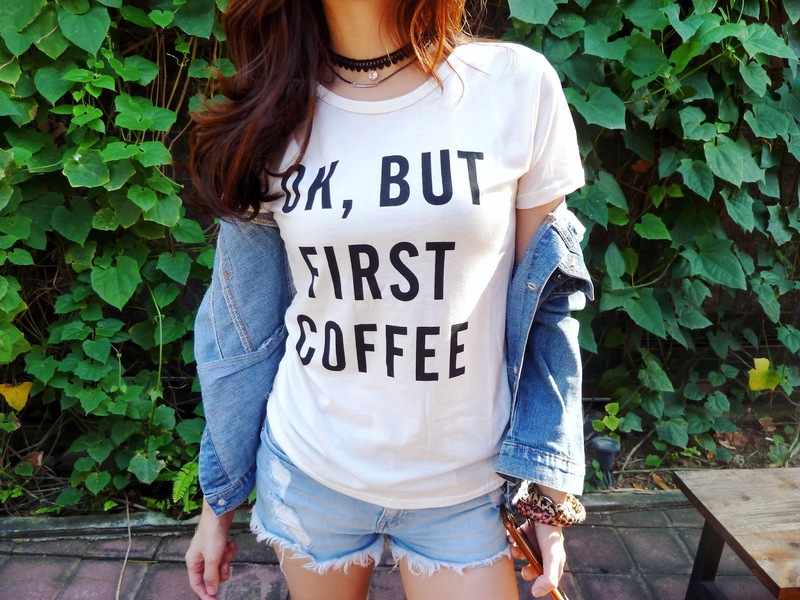 Yesterday, I chose to go casual style with this jacket and short jeans, I pair them with this cute T-shirt with a sentence "Ok, but first coffee" which is really represent my personality lol. To complete the look, of course, I wore my favorite white canvas sneakers. What do you think about the comeback of double denim trend? Let me know your thoughts! Love denim on denim! 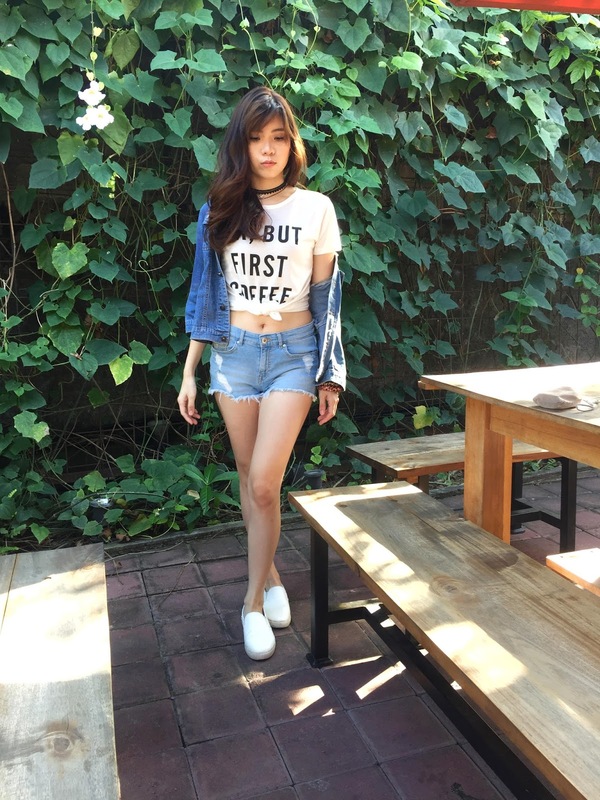 Super cute look with the chokers! I love it your tee. Love your tee. That's how I feel every morning. I love denim on denim. I definitely see myself wearing it well into the fall and winter seasons. I definitely see denim is coming back. Saw a beauty magazine doing denim as a theme for looks to try. Nice post! Love that t-shirt! So cute! Awesome look! I really enjoy & love You look, I wanna get the stunning outfit.thanks for sharing.